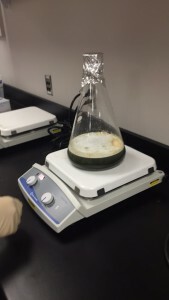 The focus of this study is to see if sargassum from the Sargasso Sea carries the invasive species Vibrio cholerae, the etiologic agent of cholera, as it enters the Gulf Current Loop and passes through countries such as; Haiti and the Dominican Republic. Following the huge cholera outbreak that occurred in Haiti in 2010, there are still cases that are still being reported till this day. 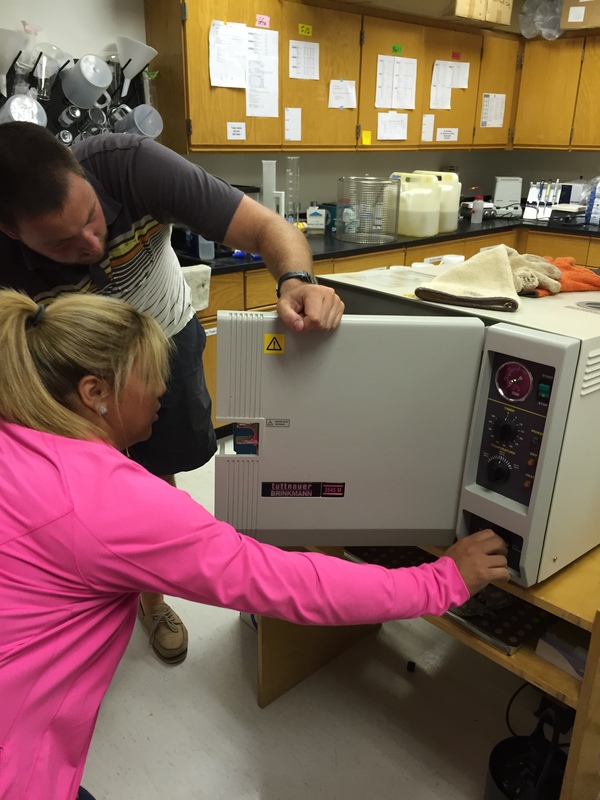 Our goal is to find out if sargassum is a mode of transportation for the cholera strain Vibrio cholerae. Took a field trip to the beach to collect sargassum (seaweed). Made up an selective enrichment of Vibrio cholerae with alkaline peptone water with a pH of 8.5. 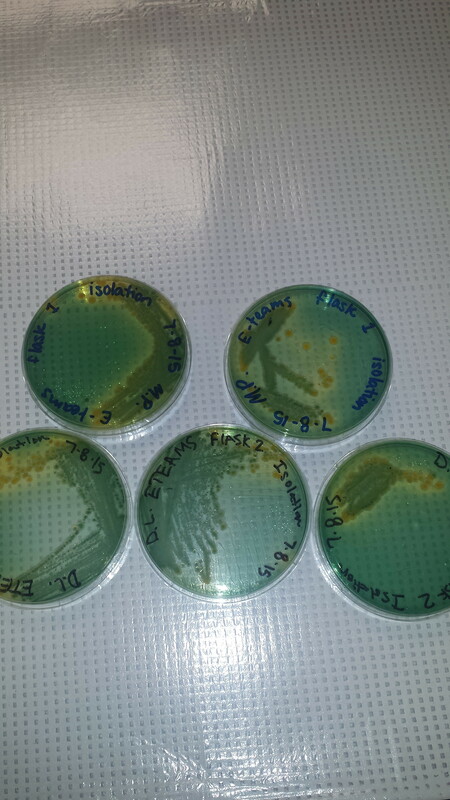 Made up an enrichment of TCBS (Thiosulphate citrate bile salts sucrose) nutrient agar. Made up an enrichment of Lemco agar, used for promoting the growth of Vibro cholerae. A stir bar is inserted in each mixture, then set on a heating plate to dissolve the ingredients and bring to a boil for 2 minutes. The mixtures are then autoclaved for 25 minutes at 20 psi. 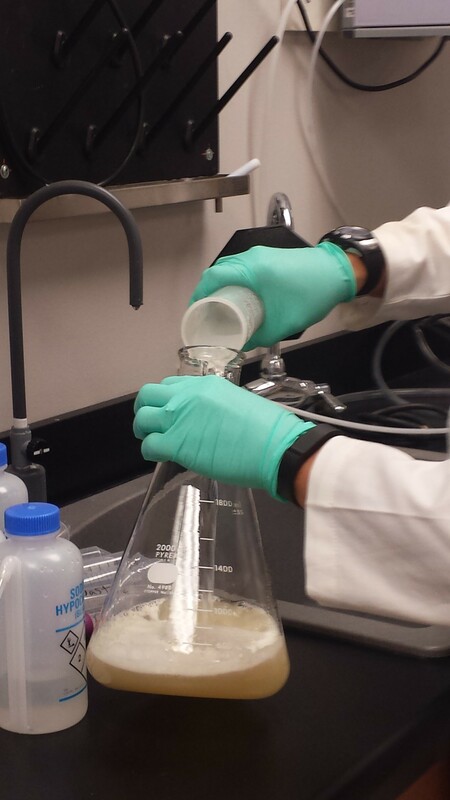 When the mixtures have completed the autoclave phase, they are then transferred into petri dishes. 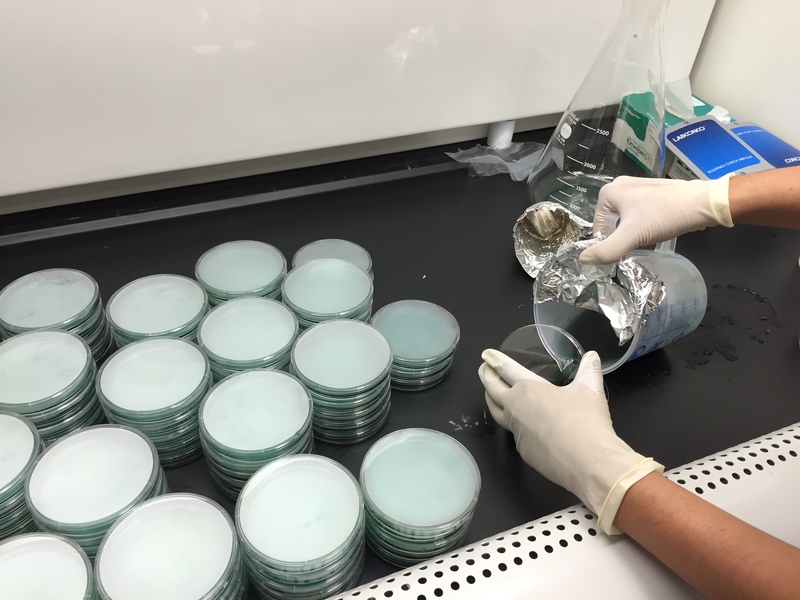 We then begin to steak the presumptive Vibrio cholerae strains onto the media. 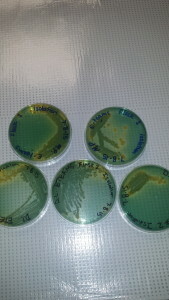 Using a quadrant streaking technique, to help isolate the bacteria. 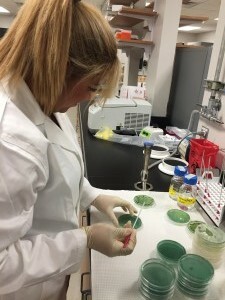 The importance of aseptic techniques when working in the lab. The proper way of using the mechanical Pasteur pipettes for measuring in micro-units. 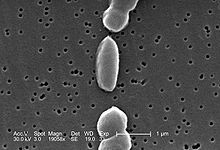 Vibrios are Gram-negative bacteria, indigenous to marine and brackish waters. V. cholerae and V. vulnificus are commonly found along the estuaries of the south-east United States. 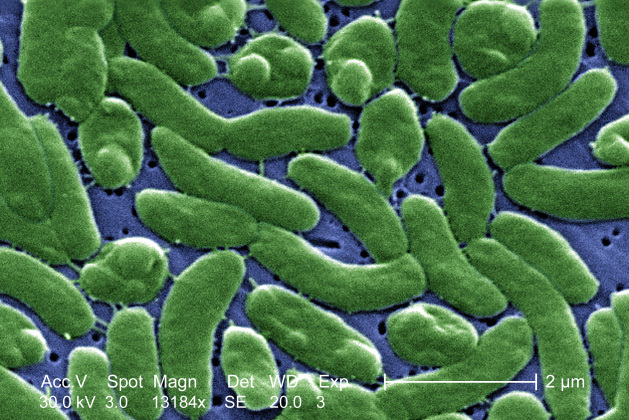 There are more than 200 serogroups of V. cholerae species that have been identified, but only serogroups O1 and O139 are toxigenic and can cause outbreaks of cholera. This is due to contaminated water and food. V. parahaemolyticus is the predominant cause of acute gastroenteritis. Ingestion of bacteria in raw or under cooked seafood is the main route of transmission. The main clinical symptoms of V. vulnificus are gastroenteritis, necrotizing skin infections, and also septicemia. V. Vulnificus is a deadly pathogen that is mainly found in seafood, and has the highest mortality rate. 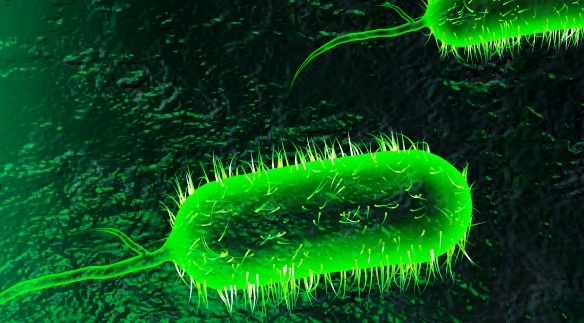 What is the minimum amount of V. cholerae a person needs to have in their system to cause harm? How long can V. cholerae survive without being attached to a host? What are several ways we can take care of our water systems, and the beaches to prevent V. cholerae from coming into our community? (B) investigate how organisms and populations in an ecosystem depend on and may compete for biotic and abiotic factors such as quantity of light, water, range of temperatures, or soil composition.